Joomla! World Conference (JWC) 2015 takes place from 6 to 8 November 2015, at Bangalore India. 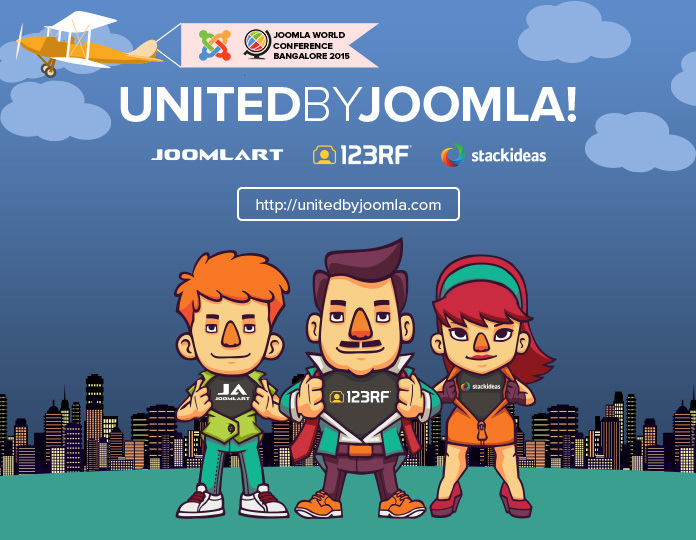 This year, at JWC2015, JoomlArt partners with 123RF.com and StackIdeas to spark the United by Joomla! movement. What is United by Joomla!? United by Joomla! is a common idea of the 3 partners JoomlArt, StackIdeas and 123RF. 123RF is very well known and trusted royalty free stock images library and for the Joomla! World Conference 2015, they gladly accepted to be the main sponsor. On top of that they even agreed to help with some exclusive giveaways including T-shirts, PowerBanks and stickers for attendees of Joomla! World conference. 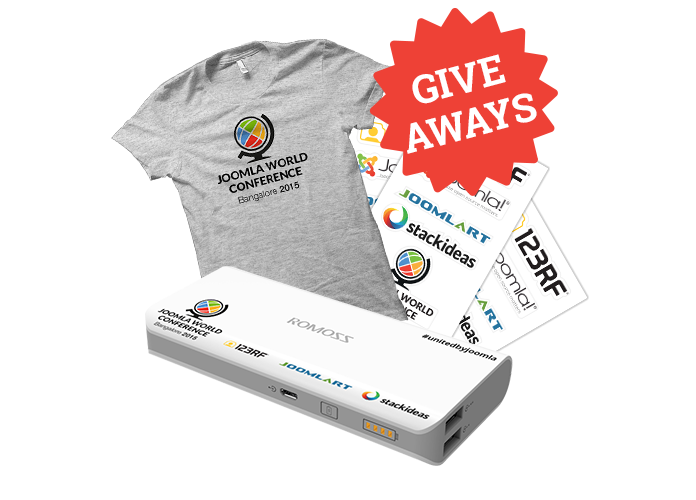 As it is more of a tradition to do campaigns to spread the word to promote the Joomla World Conference. Sharing the same passion for Joomla!, we stand united to promote JWC2015 now and in future we would be doing more for Joomla!. We (Stackideas & JoomlArt) are well known thanks to Joomla and together with 123RF reach and popularity we hope to reach out to more. We want it to be a fun campaign, a fixed discount sounds dull, so we thought of random discounts but then it leads to refund requests. So an ever increasing pricing per sale sounded great. Will it work? Well, we will find it out. In short, the Bundle include offers from the partners worth $1,242. The bundle price starts at 50$ and the price goes up $1 (read one US dollar) each time someone buys it! You're getting 400 123RF download credits worth $343 to search and download +46 million stunning legal-to-use HD stock photos, vectors, footage and audio files. Worth $ 300. 1 year access to all Joomla templates and extensions of JoomlArt. With premium support from our Joomla experts. This membership is popular with developers, design / dev teams. Worth $ 599. Access to all core Joomla products of StackIdeas: EasySocial, EasyBlog, EasyDiscuss and Komento. Make your Joomla site sociable with the user-friendly Joomla solutions of StackIdeas. Hurry! Get it while it's hot! Take a photo with us at our JWC2015 booth. Share your photo on social media with hashtag #unitedbyjoomla and #jwc2015. Show your uploaded picture to the team and choose your gift. We hope you can join us to celebrate the Joomla! moment and Joomla World Conference 2015 at Bangalore, India.